Universal Monsters Remix promises pulse-pounding horror, featuring classic movie monsters backed by electronic music. The House of Horrors needs to be reserved as a safe haven for the classic movie monsters that made Universal Studios famous back in the early days of the cinematic genre: Dracula, Frankenstein, the Mummy, and (a bit later) the Wolf Man. 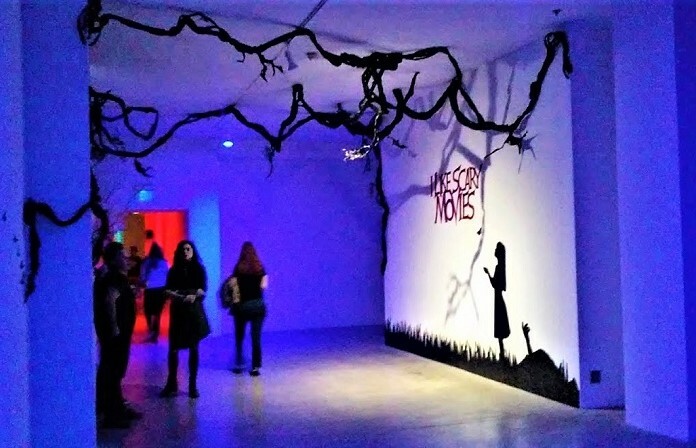 This is a legacy that no other Halloween event in Los Angeles can come close to matching, and as necessary as it may be to appeal to younger haunt-goers with mazes based on more contemporary icons (if Freddy, Jason, Michael Myers, Leatherface, and Chucky can still be considered contemporary decades after their heyday), some vestige of traditional Halloween spirit should remain intact. House of Horrors is the ideal venue for old-school horror; re-branding it over the last few years as The Curse of Talbot Hall, Castle of the Undead, or Chucky's Funhouse merely excludes the more venerable ghouls from their rightful place in the spotlight. All of this is a long pre-amble building up to the announcement that this year's Halloween Horror Nights is attempting to eat its cake and have it too, finding a way to keep its classic cast of catacombed cadavers on view while updating them for the 21st century with a modern soundtrack. 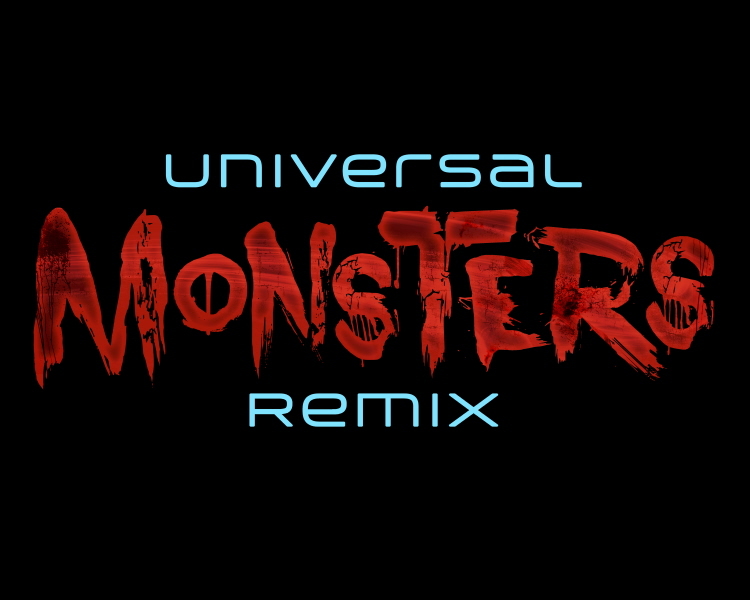 Halloween 2012's Universal Monsters Remix promises "pulse-pounding horror" combining monsters with electronica dance music. All the familiar fright-masters will be on display - not only Frankenstein and Dracula but also their respective brides, along with the Phantom of the Opera. Although there is a faint whiff of desperate commercialism in the concept ("how can we jolt some life into those old monsters? "), hopefully this approach will succeed at providing a satisfying mix of new and old, resurrecting Universal's immortal monsters and making them relevant to today's fright fans. Universal City, California — Universal’s infamous legacy of horror will come to an afterlife in “Universal Monsters Remix,” an all-new terrifying experience that re-imagines the classic horror icons of yesteryear for the 21st century and immerses them in the twisted confines of electronica-inspired music during “Halloween Horror Nights®” at Universal Studios HollywoodSM. Set within the antechambers of an eerily gothic castle, the new “Universal Monsters Remix” maze will unleash a cast of movies most legendary creatures, including Frankenstein’s Monster and his Bride, Dracula and his Brides, Phantom of the Opera and The Wolf Man. From deep within the stone fortress, accompanied by ominous strobe lighting effects, guests will traverse dark and dank arteries of rotting catacombs, hallowed underground crypts and pagan sacrificial burial chambers. Laced with the murmur of dialog from Universal’s catalogue of horror films, guests will be besieged by the relentless sounds of high-energy, horror-inspired dance, dub-step and industrial music. This year’s “Halloween Horror Nights” at Universal Studios Hollywood brings together the sickest minds in horror to immerse guests in the living, breathing, three-dimensional world of the most notorious and terrifying creatures. Featuring a slate of unrivaled film production quality mazes, terror-filled Scare Zones and a fully re-imagined “Terror Tram” experience, uniquely themed to today’s most definitive horror properties, “Halloween Horror Nights” will taunt, terrorize and torment guests with incomparable spellbinding and spine-chilling haunted attractions. “Halloween Horror Nights” experiences will include an immersive new maze, “The Walking Dead: Dead Inside,” based on AMC’s critically-acclaimed, Golden Globe®-nominated and Emmy® Award-winning TV series; “Welcome to Silent Hill,” based on the popular video games and film franchise; a new maze by legendary shock rocker, “Alice Cooper Goes to Hell 3D,” and a reimagined “La Llorona: Cazadora de Niños” maze, based on the terrifying Mexican and Latin American legend that has terrified children for centuries. An all new “Terror Tram: Invaded by The Walking Dead” attraction, also inspired by the TV series, will invite guests to navigate the haunted environs of the world-famous movie and television studio backlot and come face to face with hordes of flesh-eating, blood-drooling and groaning “walkers.” Additional haunted attractions to be announced shortly. Details on “Halloween Horror Nights” are available at Halloween Horror Nights, on Facebook at: “Halloween Horror Nights – Hollywood” and on Instagram @HorrorNightsHollywood or #UniversalHHN. Updates from Creative Director John Murdy can be found on Twitter at: Twitter.com/HorrorNights, as he reveals a running chronicle of exclusive information. “Halloween Horror Nights’ maze announcement videos can be seen at Universal Studios Hollywood’s YouTube Channel. “Halloween Horror Nights” kicks off on Friday, September 21, 2012 and continues on select nights through Wednesday, October 31. Event dates are: September 21, 22, 28, 29 and October 5, 6, 7, 12, 13, 14, 18, 19, 20, 21, 25, 26, 27, 28 and 31. 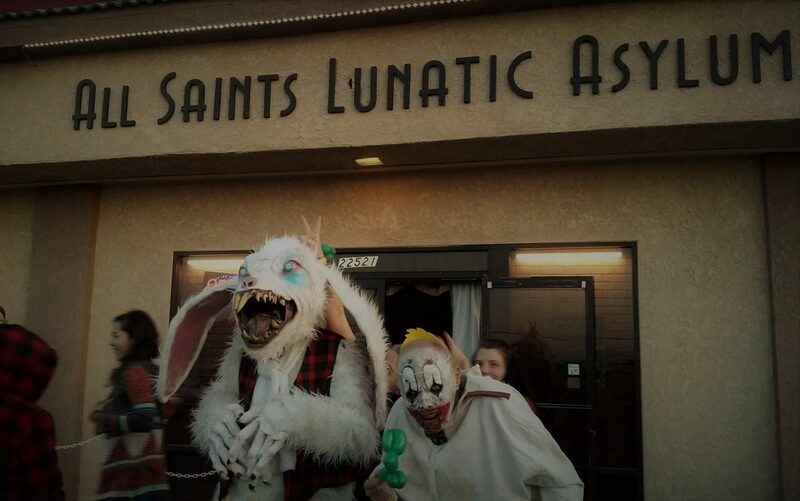 If you want a glimpse at what the House of Horrors looks like, check out the video below, shot during Halloween 2008.